We are Providing Most Affordable Driving Lessons in Blacktown, Mount Druitt, Penrith & surrounding Suburbs. A massive thank you to M.I.M driving school. Wouldn't of passed without their help. Passed my test with ease thanks to the MiM. Will be recommending them to my mates. Appreciative of the patience and guidance Irfan provided throughout my lessons! They're very good, my instructor is friendly and professional. Single Standard hour lesson is best for those students who want to learn driving or get prepared for their driving test. Every single lesson covers a topic from student’s logbook. Each lesson starts with a new topic followed by a complete one hour practice. This package is best for someone who wants to be prepared for his/her P’s test. Duration for this package is 2 hours. Finally, the driving instructor would explain the students’ weaknesses and strengths and go over them. Best for students aged over 25, students who have not undertaken night driving or those who want to improve their night driving skills. Driving at night requires the use of different skills to deal with hazards which vary from driving during the day. Practising driving at night gives you the ability to stay safe on the roads after dark. Undertaking night driving is a component of the logbook and this will count in the total hours required. Duration for this package is 3/Hr single driving lessons. This package is best for someone who has completed 100 to 120 hours of his/her log book. Also, it is best for students who want to be prepared for their driving test. The first hour is a general assessment of students driving skills. The assessment will be undertaken around suburban roads and main roads with simple traffic. The second and third hour will go over all mistakes and further practice. This course duration is 6/Hr single driving lessons. This package is best for someone who has done between 50 to 100 hours driving. This course assesses students driving skills and weaknesses. During the lessons, students will acquire the skills which, they need to pass their driving test and be a safer and confident driver on the roads. The fifth lesson is designed as a demo test. It is similar to RMS actual driving test followed by a practice of the weaknesses. The benefit of this package is that students have enough time to practice their weaknesses and be prepared for their driving test. However, the chances of passing their driving test at the first attempt are very high. Duration for this course is 10 lessons. Best for new learners. New learners usually lose control over the vehicle and fail to respond in a sudden situation which is highly unsafe. All our vehicles are installed with dual controls and our instructors are taught to deal with the situation and maintain safety. This course acquires the basic skills such as vehicle control, how to maintain safety on the road and driving in simple traffic. The outcome is to make the learner a safer driver. Duration for this course is 20 lessons. Multiple sessions can be arranged within a day including, weekdays/weekend and night driving. Expert package Best for nervous students and someone who starting to learn from scratch. This package is for students who need to use a school’s car for their driving test. This package includes pickup and drops off plus one hour practice. One hour practice will be around the RMS where your test is booked. The practice will focus on student’s weaknesses and how to correct them. This practice is a key element of students’ success on the driving test as the mistakes and fails items with the tips to correct them are explained. This package is for students who need to use a school’s car for their driving test. This package includes pickup and drops off plus 2-hour practice. Two-hour practice will be around the RMS where your test is booked. The practice will focus on student’s weaknesses and how to correct them. This practice is a key element of students’ success on the driving test as the mistakes and fails items with the tips to correct them are explained. This package is for students who need to use a school’s car for their driving test. This package includes pickup and drops off plus 2-hour practice before the actual test day. Additional One hour practice will commence on the Test day around the RMS where your test is booked. The practice will focus on student’s weaknesses and how to correct them. This practice is a key element of students’ success on the driving test as the mistakes and fails items with the tips to correct them are explained. MIM Driving School is one of Sydney's fastest growing driving schools. Our team consists of highly qualified, professional, patient and friendly male Driver Trainers. Our aim is to produce safe and confident drivers on the road while also making learning to drive an enjoyable and hassle free experience. We provide training for Class C Licences in both dual controlled automatic vehicles. Our standard driving lesson is 60 minutes and may be extended if required. Many thanks to M.I.M Driving School for helping me in passing my driving test in one go. Irfan bhai you rock!! Without your superb guidance and excellent driving tips this wouldn't have been possible. May you help many more in the time to come. Best wishes! Perfect! Everything from A to Z covered efficiently and effectively. MIM gave me the confidence to pass in one go! great driving school! Wouldn't have passed my p's test without the lovely instructors i had from this school. So helpful and teach the easiest way of doing things. Instructors would do anything just to see you pass. Very blessed to have driven with them. Thanks you very much! How long will it take me to learn how to drive? At MIM we understand that everyone learns at different speeds. Regardless of your stage in the learning process, with our accelerated learning programme you will need less lessons than with any of our competitors. Where will my lessons be held? The lessons start and finish at a location convenient to you. This is usually your home address but we can come to your school or office, just let us know. How do I pass my driving test? Passing your test should be easy as long as you prepare early. Your driver trainer will set a goal date for your test and work towards that date with you. Along the way there will be practice tests and test route preparation. Remember, safe drivers pass. What type of car will my lessons be in? Our fleet is the most modern in the industry and all our cars are less than four years. We offer training automatic vehicles in all the areas that we service. When should I get driving lessons? You should see us as soon as you get your learners licence. Lessons are most effective when you are new to driving. When does MIM offer lessons? We provide lessons from early in the morning until late at night, 7 days a week. If you have a busy schedule we can fit you in. Do you have dual controlled vehicles? Yes. All our vehicles are fitted with dual controls and we take extra care to make sure you are safe while learning to drive. Absolutely. It is vitally important when choosing a driving school that you know that you are covered. At MIM, we are fully insured and all our instructors have passed police and working with children checks. Rest assured we have you and your safety covered every time you get behind the wheel with us. 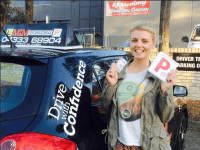 Are you looking for a driving school in Blacktown? MIM Driving School is one of Sydney's fastest growing driving schools. 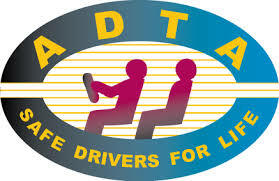 Our team consists of highly qualified, professional, patient and friendly male Driver Trainers.